I am known for my “looks.” Here I am in 1995 giving my friend Brian “The Evil E” look. 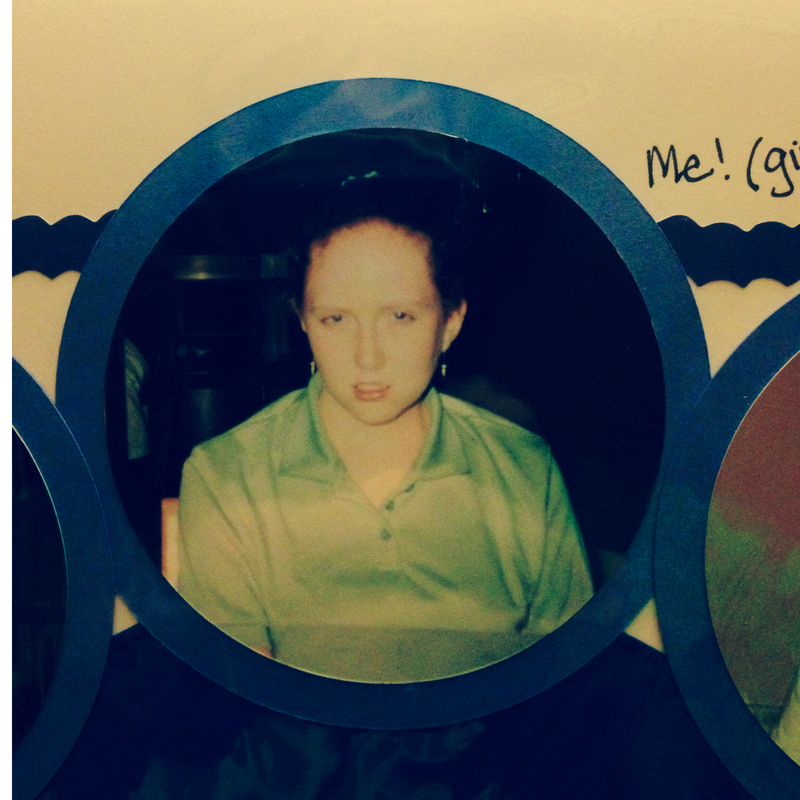 I promise you that I was not raised by scowlers. I come to this all on my own! Sometimes thin places appear when I have a scowl on my face. Eighteen months ago I walked into a support group that A) I never would have thought I would need and B) once I did need it I procrastinated in going for fifteen months. Eighteen months ago I walked into Divorce Recovery. It was as awful as you would imagine it to be. I sat in a corner with my back to the wall so I could observe everyone. I imagined their stories weaving in plot twists based on their body language, heads hung in shame, and—for those faces I could see—scowls. We were a mess, the entire collected body of us. I had really committed to the next nine weeks’ worth of Wednesdays to be with these sorry people? Until, one day it wasn’t. Oh, we were still crying, angry messes. We were still a hodgepodge of broken dreams. But something happened. We had begun to share our greatest struggles, our blackest rages, our deepest sorrows. We had begun to be authentic. In this authenticity we began to get to know each other. 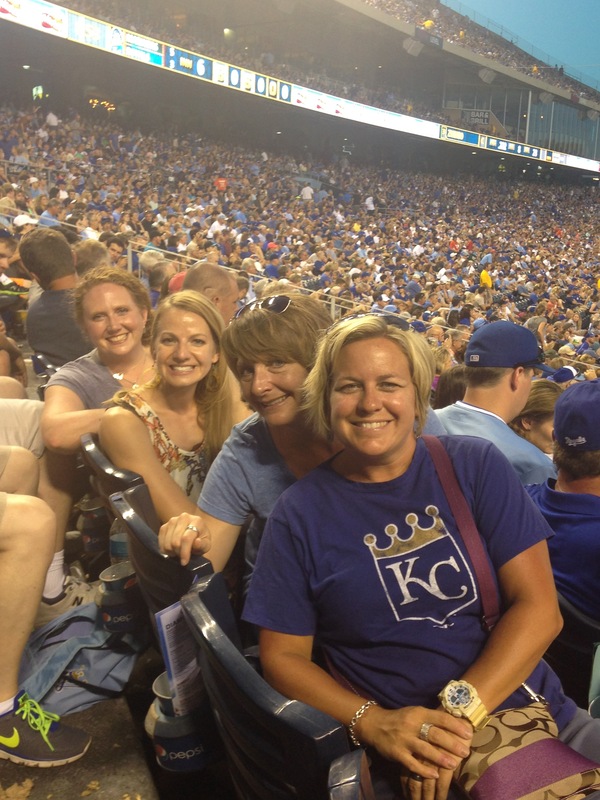 Q: What do four of Kansas City’s finest single moms say at the Royals game? A: We are a good catch! 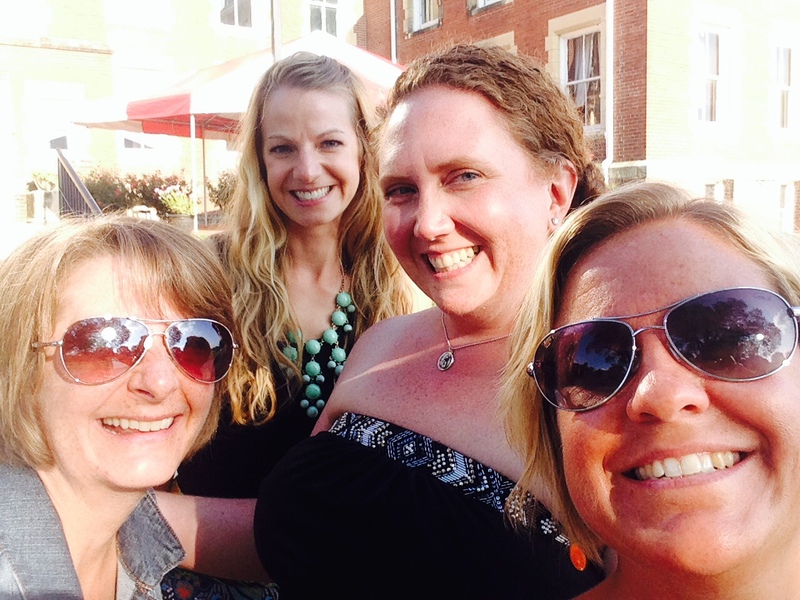 In the last eighteen months these girls and I have seen The Light slip through our cracks each time we get together. We have seen redemption, victories, and smiles. We have also seen hurt, sky-high attorney bills, and worry. But The Spirit moves through laughter and that we do! So, dear Reader, if you are hurting or broken or traveling a thorn-filled path, I encourage you to find a group that can support you through this season. You never know, you may just experience The Spirit through tears or laughter or (better yet) tears of laughter. For more information about a Divorce Care group close to you click here. Loved reading this, E! Keep writing away!